The summer may be winding down, but one protective style is just heating up. 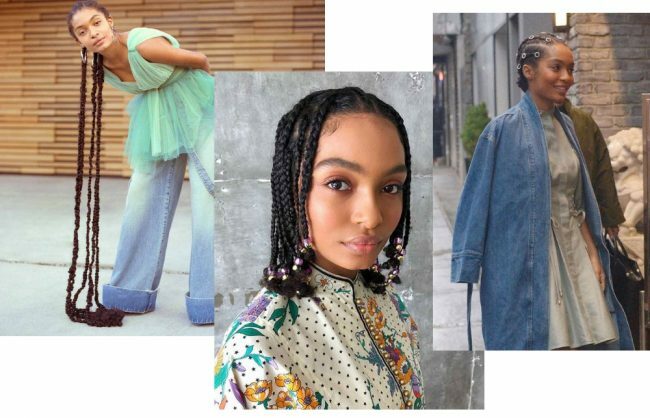 In case you missed it, boho box braids (also known as gypsy or goddess box braids) are officially here and posed to take over. 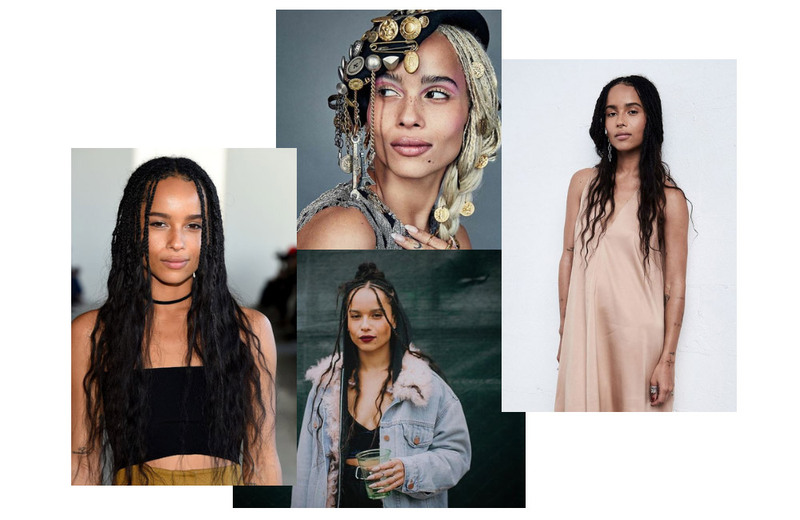 You may have seen this fresh take on box braids on celebs like Zoë Kravitz, Eva Marcille, and Jhené Aiko, but if you haven’t, think of the style as a gorgeous mesh between goddess locs and box braids. If you want the bohemian look in less time than traditional goddess locs, which require braiding the hair first then wrapping each braid with thread, goddess box braids may be your answer. The main difference with boho box braids is, unlike the traditional box braid technique, boho braids have a less uniform look with wavy hair added in select spots for a more wispy, carefree vibe. From the parts to the ends, the look is intentionally less polished. Kravitz can be seen accessorizing with embellishments like hair jewelry and playing with color, which spices up this hairstyle even more. Pulling the box braids into a top bun like Zoe often does gives this look added boho edge. 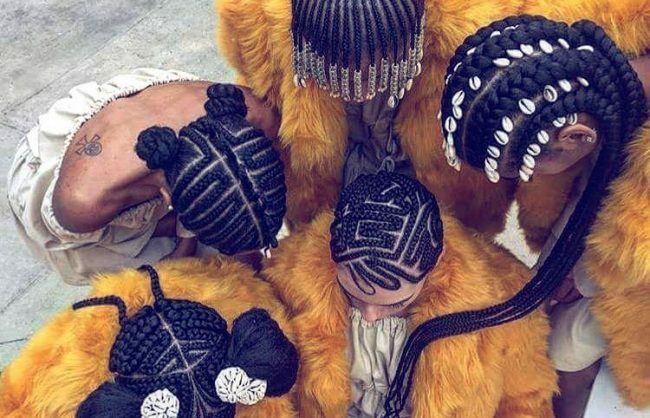 It’s well known that box braids and other braiding techniques originated in ancient Africa, where braids were decorated with cowry shells, feathers, jewels, and beads. Today, boho braids are just another reincarnation of our creativity, and our history. As mentioned, the main distinction for these braids is that they showcase two hair textures: the regular straight braided hair and the wavy, textured hair added on the ends and sometimes within the box braids. With regular Kanekalon braiding hair, getting this styles’ signature wavy look can be challenging, but there are different techniques you can try to achieve the waves that make this hairstyle stand out. Beauty influencer and business owner Asea Mae shows how you can use wefted human hair for the curls and synthetic braiding-hair, together. For her braids she used “very soft,” high-temperature Japanese Fiber synthetic hair. You may be able to find this type of hair in your local beauty supply store. We found this option on Amazon and are having it shipped to #TeamUnruly. We’ll let you know if it fits the bill. She then adds virgin wefted hair, which is cut off the tracks to the ends to get that light, wavy look. The result looks very much like the starlet she’s channeling but the vlogger likely could’ve saved a step by using human hair throughout. 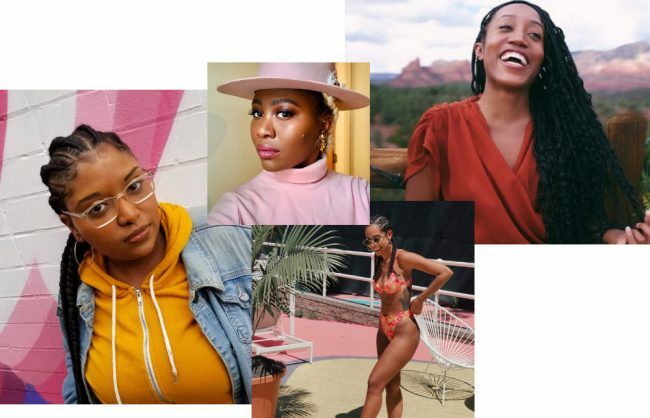 Natural hair vlogger Shaniece Crystal chronicles her hairdresser’s method for creating waves by using X-Pression braiding hair, which can be found at most beauty supply stores and on Amazon. X-Pression is softer than typical Kanekalon hair and more of it comes in the pack. After braiding some of the hair all the way to the tips and leaving the ends of others unbraided, Shaniece’s stylist braids about six sections of the braids into large braids, then sets them by dipping them in hot water. She later unravels the large braids to reveal the resulting wavy look. Vlogger LipsticknCurls used synthetic hair for her braids. She used Organique Mastermix braiding hair, which can be found at the beauty shop. The hair is softer than Kanekalon hair and also has a bit of a natural wave to it. But heads up, softer hair generally means an increased chance of the braids unraveling. LipsticknCurls admits that she had to rebraid a few of her braids. But she also shares that she didn’t dip the hair in hot water. Tip: some vloggers use nail glue to seal the ends of their braids. If you are running short on time, natural hair blogger Lynda Moyo shows viewers how to get boho waves using a flat iron on low heat on Kanekalon hair, sans soaking. Her approach is not too different from the others, however, she leaves the ends of all her braids unbraided. She flatirons the ends on low heat to make the hair a little sleeker. Then she braids the braids into three giant braids and runs a flat iron over the large braids to set them. Using a flat iron allows her to skip having to wait for the hair to dry. Then she unravels the large braids. With most box braiding styles, the installation can take several hours (and much patience), but luckily, there is typically a crotchet version which will cut down your installation time significantly (more on this). More companies are making boho individual braids with the curly ends for those of us who want to achieve this look in less time. 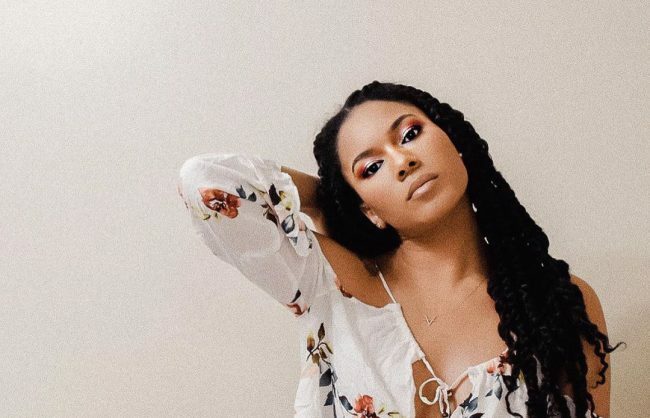 Beauty vlogger Adanna Madueke uses synthetic crochet hair and individual braids in the front for a more realistic look. She used Crochet Zoey Braid 24″ braids from Model Model. Heads up, goddess braid crochet hair tends to have ends that are more curly than wavy, but Adanna’s hair doesn’t look as spirally as some of the others we’ve seen out there. Since this hairstyle is not as uniform, pay attention when you cut the ends. Do not cut straight across while putting the finishing touches on your braids; you want the ends to look uneven. Before you install your braids, make sure you pull the bottom of the braiding hair so the ends look less perfect and more natural. Be mindful of blending in your hair with the braided hair if your natural hair is a different color than the extensions. This hairstyle can last up to two to three months with good care and a perimeter refresh. If you decided not to do this style yourself, here’s how you can prepare for getting it done at the salon or by a mobile stylist.